What Pink Floyd did on what’s considered their ‘breakout’ album, was for the first time, to find a collective voice, and collaborate full throttle, creating a sort of musical bridge between their earlier works, and what was to become their triumphant earth shattering release Dark Side Of The Moon. I was in Saigon when I first heard this bit of wax, having earned a couple of days of R&R. I was strolling the side streets, which is where anything cool was going on, when I saw Steveo, one of those under my command walk into a shoppe without noticing me. I stood looking in the front window of the shoppe he’d stepped into, and of course it was a stereo store. I watched as a man in a shiny suit handed him a package wrapped in brown paper, and he nearly ran over me on his way out. “Captain,” he said, “what are you doing here?” “No Steveo,” I shot back, “what are you doing here?” “Uh,” he replied stalling for time, “I had to pick this up for the Major.” “I just had lunch with the Major. Any reason he couldn’t have picked it up himself?” “Listen Cap, I’m sorry, it’s the new Pink Floyd album, fresh in from Japan, I’ve been waiting weeks. Please, come on in, it’ll blow your mind.” Of all the things Steveo was or wasn’t, he was a stereo gear head, his system was legendary on the Base, and he did know how to skirt the rules and regulations of the Army better than anyone I ever knew. So we went back into the shoppe, and in perfect Vietnamese he spoke with the man in the shiny suit again, who carefully unwrapped the package, put the album on one of the many turntables that were for sale, locked the front door, offered me a seat in a really comfortable leather chair, and turned out the lights. With only a green glow coming from endless amplifiers and receivers, and the splintered sunlight coming in through the front window, I settled back as the song “Echoes” began to unveil itself … slowly, effortlessly, romantically, and very psychedelically, laced with effects, swilling guitars, and atmospheric meanderings that totally raptured me, causing the clock to stand still, as if this moment in time could get no better. Twenty three minutes later I believe I took my first breath since sitting down, and exhaled deeply, rubbing my eyes with the heels of my palms, as if I could bring myself back to reality. I thanked the man in the shiny suit as Steveo and I stepped into the late afternoon foot traffic. We sat in the shade of a small park, each of us with a warm Coke and a questionable sandwich, finally talking about what we’d just heard. “So what’d you think?” asked Steveo. “Pretty amazing,” I said, still processing all I’d heard. Then I turned to him and asked, “Did you catch that the song followed a pattern of three strophes?” “What?” said Steveo putting down his Coke. “Strophe,” I continued, “it’s a poetic term referring to the first part of an ode in an Ancient Greek tragedy, that’s followed by what’s called the antistrophe, and then the epode, it’s all a structural division for a poem that’s made up of stanzas of varied lengths.” “Captain, I ain’t never been to college, but I did hear something that reminded me of The Beach Boys’ “Good Vibrations” as Wright was slowly building his organ solo, and Gilmore was playing muted notes over it. Very cool, I’ll be listening to this for weeks.” Though laughing, I said that what I’d really enjoyed was that overstuffed leather chair. Now, Officers were not supposed to fraternize with Enlisted men, especially female Officers, so I thanked Steveo, said that I’d see him in a couple of days back on Base, and reminded him to get there pronto, and we parted ways. The album was more than ambitious, yet controlled with a sense of direction, sounding familiar, if only subconsciously, laced with stunning harmonies, a floating-ly light strangeness, slow burning and explosive. 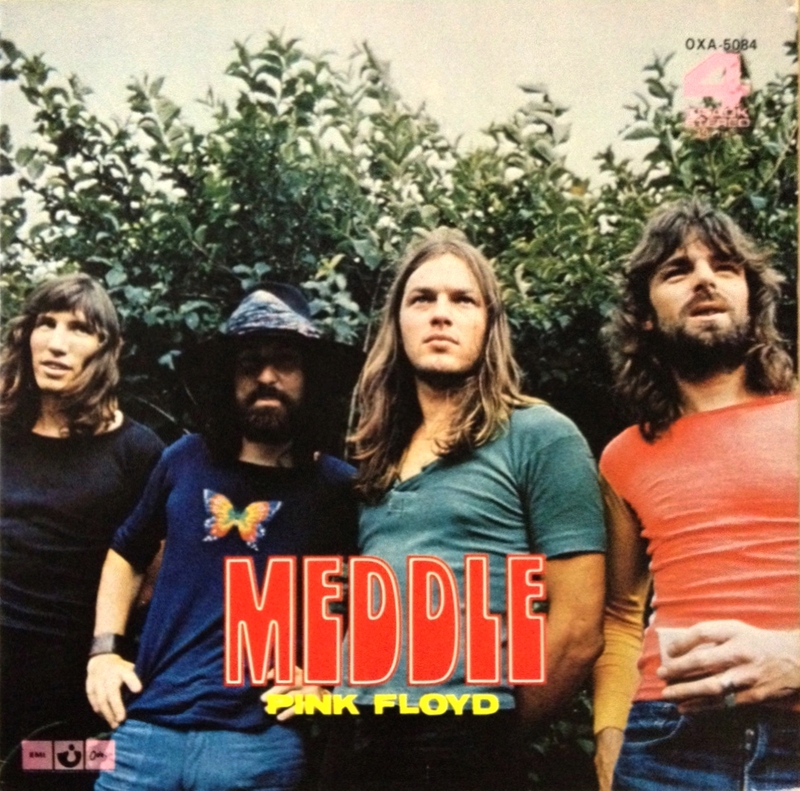 Of course the first genre that came to mind was that of being progressive, but the music of Pink Floyd is not progressive when compared to other groups, or perhaps the music of Pink Floyd belongs so totally to them that no other band would dare venture down the avenue they claimed as their own. 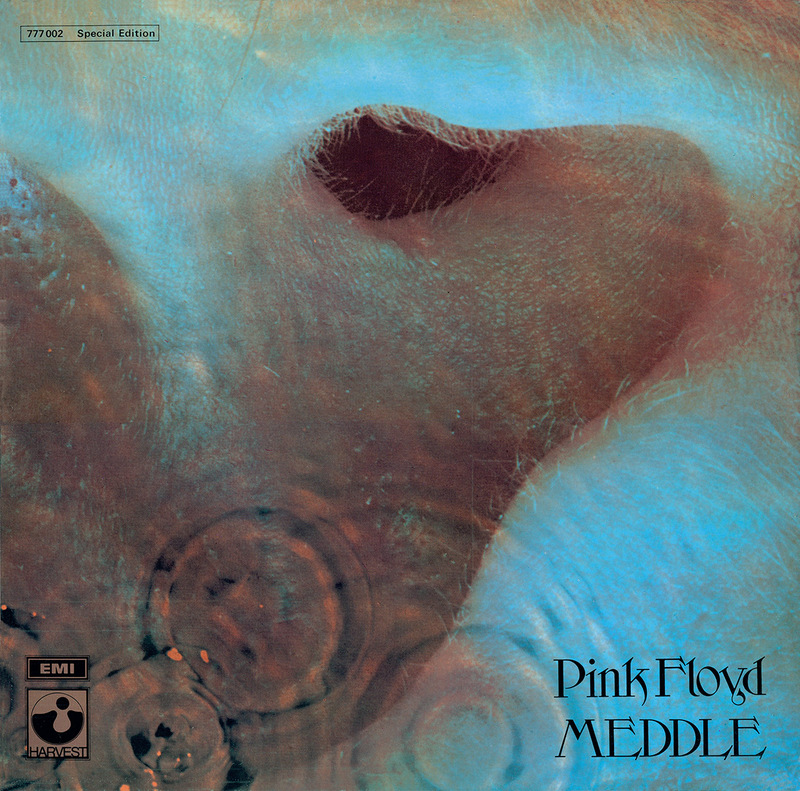 Though in short, of all the good things that happened to me in Viet Nam, hearing Meddle in the middle of the jungle, in the middle of a war, under flawless star filled black skies, was one of the most profound adventures of my life, one that sweeps back over me each time I hear this album, an album I have never played on compact disc, because flipping that heavy piece of plastic not only gives me space to breathe, but time to momentarily consider my life. When I returned to Base and walked into my hootch, there in front of me was that wonderful leather chair, and sitting on it was a cassette copy of Meddle. 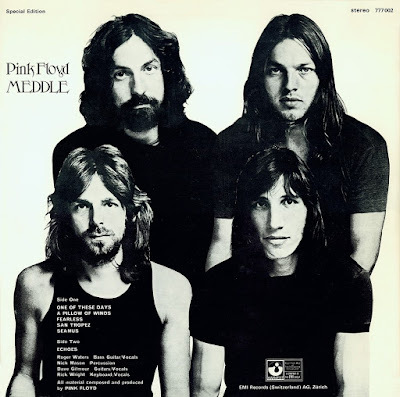 *** The fun facts: At the end of the song “Fearless” the band features a recording of a Liverpool soccer club singing “You’ll Never Walk Alone,” which meant that Pink Floyd needed to co-credit Rodgers and Hammerstein. And then there’s the song “Seamus” which includes the howling of Steve Marriott’s [of Small Faces and Humble Pie] dog, whom David Gilmour was watching. A broken string can make or break a song, lucky on the track “One Of These Days,” it doesn’t make that much of a difference that you’ll hear a flatter bass line, and it was all because the roadie they sent out for new strings decided to go and have a bit of ummagumma with his girlfriend instead. Which brings us to the album cover, and the photograph by Bob Dowling, representing an ear under water, collecting waves of sound, depicted by the water’s ripples.